OrderlyEmails now supports Tracktor without the need to manually adjust your template's code. This integration will allow you to easily change the Track Package link, so it directs to your Tracktor page instead of Shopify's default. Follow the instructions below to set it up. 1. 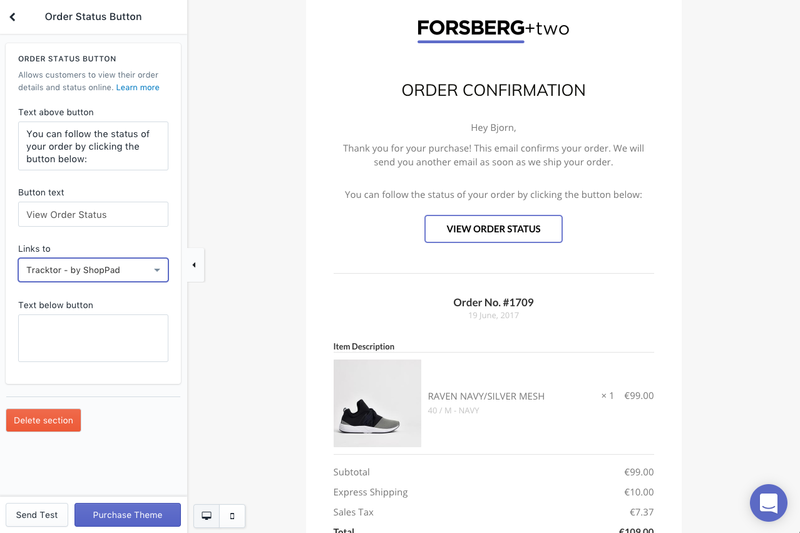 While editing the Order Confirmation or Shipping Confirmation email in OrderlyEmails, click on the Order Status Button section and select Tracktor - by ShopPad in the Links to drop down menu. - Once a customer clicks on the Track Package button, they will be directed to the Tracktor page, where their tracking information will be prepopulated.